Would you like fries with that? Suggestive selling is about as old as the restaurant industry itself, but many teams still struggle to get it right. Well-timed, effective upselling can significantly boost profit margins, but nailing the process hinges on thorough employee training. Teaching your waitstaff suggestive selling is a bit like walking a tightrope. On the one hand, more sales equal more profit, and it never hurts to lead customers toward a purchase. On the other hand, though, you don’t want to wind up annoying clients with a scripted sales pitch while they’re trying to enjoy their dinner. Successful suggestive selling takes a delicate hand — and lots of empathy and firsthand knowledge. Employees who are taught to identify customer needs and who have extensive menu training to fall back on will be able to make suggestions that feel authentic, personal, and thoughtful. Here are a few tips for pulling it off. Ideally, your team will already know your menu items from getting up close and personal with guests’ food every day. However, can they pick appetizers that will pair well with the house wine? Do they know, from experience, how the truffle fries taste with the pork belly sliders? Firsthand knowledge lends power to suggestive selling. Servers will be able to come up with impromptu suggestions — and believe in what they’re selling — if they’ve tasted the food on those plates. If your staff lacks personal experience with your menu, consider organizing an employee tasting to get everyone on the same page. We’ve heard that foie gras ice cream is a big hit in France, but most diners prefer to separate their meat from their sweets. Suggestions work well when they’re based off popular pairings, not novelties. Teach your team members to make logical suggestions like a cup of coffee with dessert, or a dinner salad or soup with an entree. You can get a lot more creative with upselling than that, though. Small item upgrades are a great way to upsell without a considerable price bump — after all, customers are already ordering said menu items. And who doesn’t want bacon on their cheeseburger or guacamole with their chips and salsa? The most gifted salespeople don’t pressure potential customers — they help them realize what they need. Employees should be taught to recognize signs of interest in a menu item. Did you see the customer flipping through the dessert menu? Tell them how fabulous the key lime pie is, then. Do they look like they’ve just settled in for a few glasses of wine? They might like to know about your cheese board. The opposite also holds true, a customer that seems rushed or distracted probably doesn’t want to hear how good your deserts are. Train your team to pick up on these nonverbal cues and to read customer body language for more successful suggestive selling. Timing is a key part of the magic formula of upselling. Customers who have just sat down with a menu or are still studying the board are going to find suggestive selling techniques offputting. A customer who just asked, “What’s good today?” will be slightly more amenable. Teach servers to identify opportunities for upselling that make sense for customers. 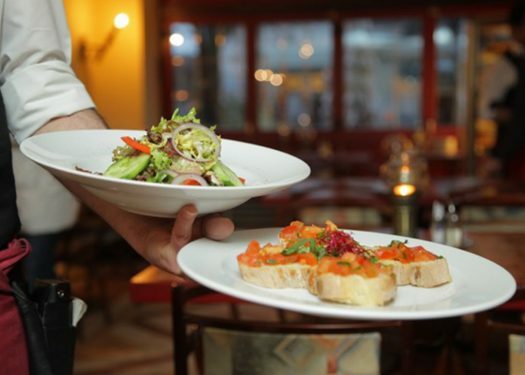 Servers often resist the idea of suggestive selling — restaurant work is hard enough as it is and many restaurant employees see themselves as customer service representatives, not salespeople. Reframe the concept so that it’s more customer focused. 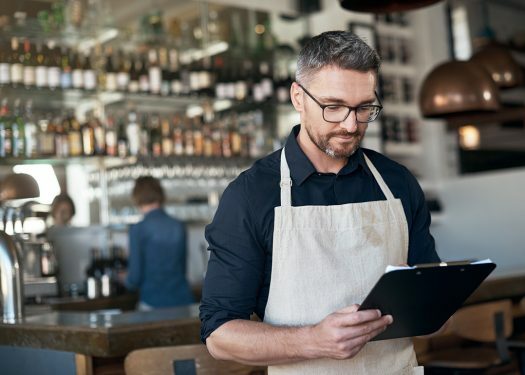 Explain to employees that their goal is to help diners understand your menu and find the items they want, not to pressure customers into buying more food. Their job is to provide personal, tailored suggestions that will get patrons there faster. Yes, suggestive selling should be custom to a diner’s specific needs and situation. But during a busy lunch rush, it may be difficult for servers to come up with spontaneous suggestions. 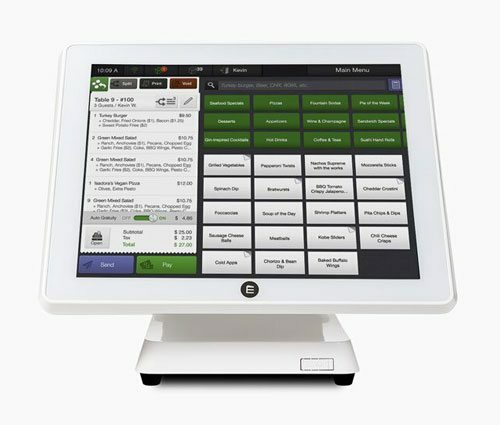 Make it easier for them by adding prompts in your POS system. For instance, if the customer orders the cheeseburger, do they want to upgrade their side? Do they want to add a cookie and make it a lunch deal? Adding these prompts in your ordering system will make sure servers ask these questions every single time. When suggestive selling techniques are consistent and service oriented, your customers won’t mind paying a little more for the experience. At the end of the day, every dollar counts!